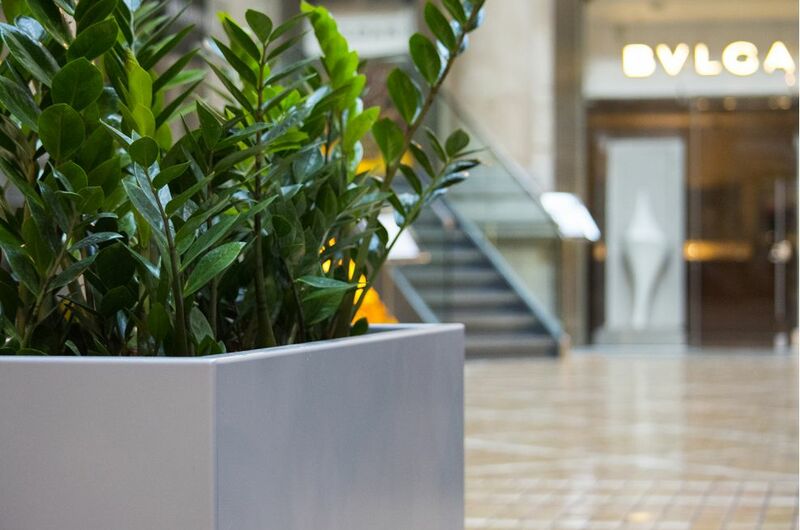 Custom-made powder coated steel planters were commissioned for The Royal Exchange – a City landmark, and one of London’s most iconic buildings. 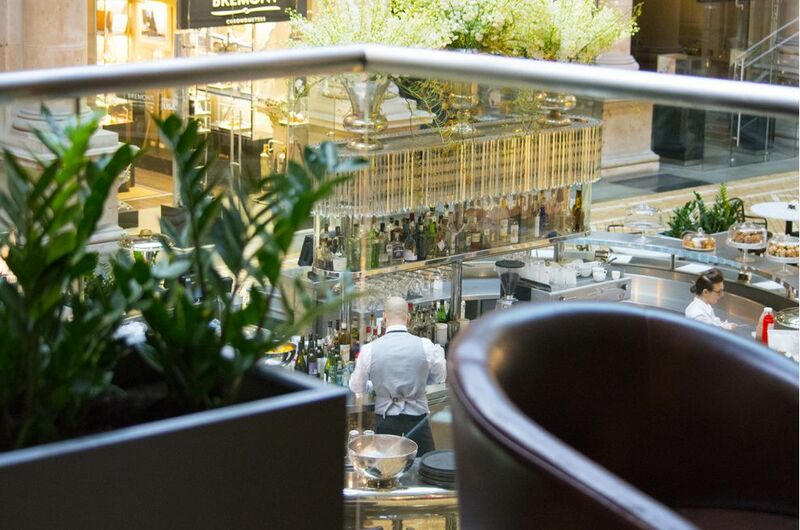 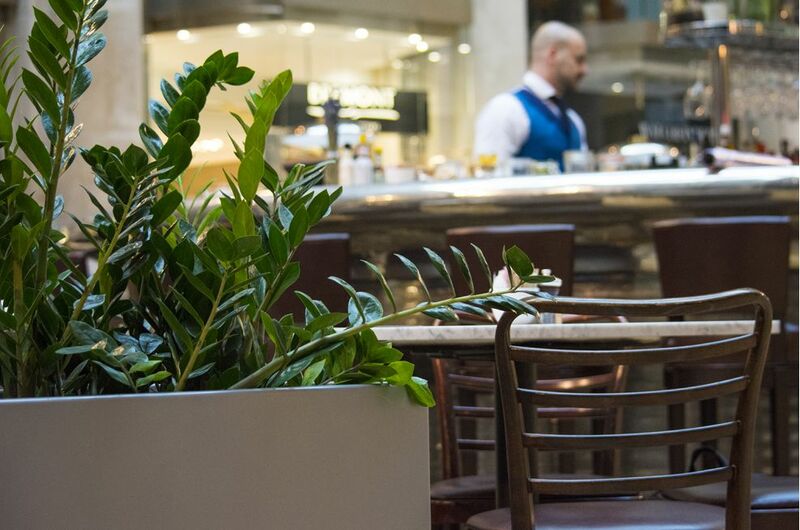 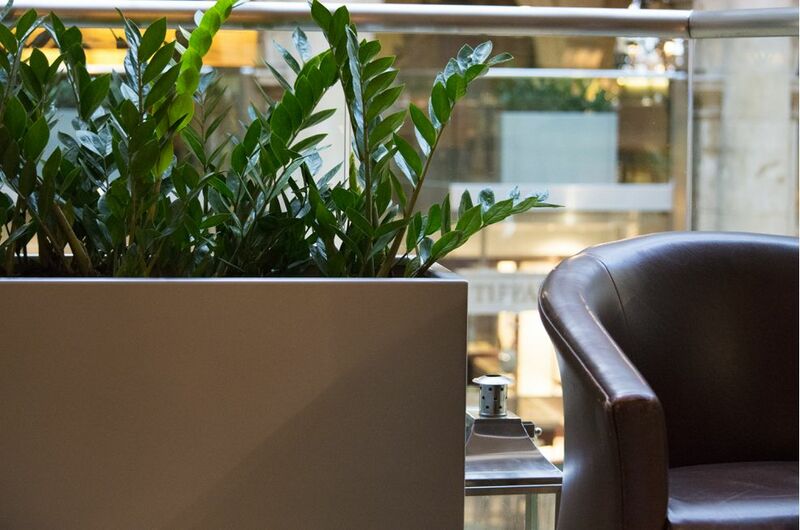 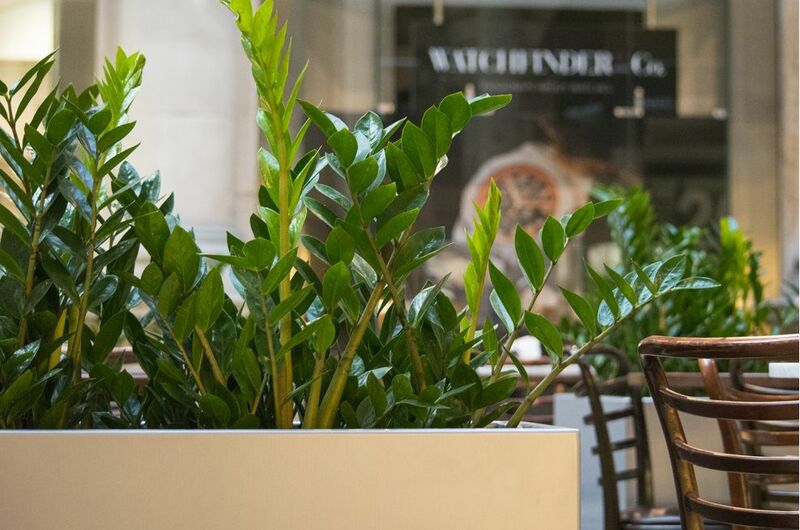 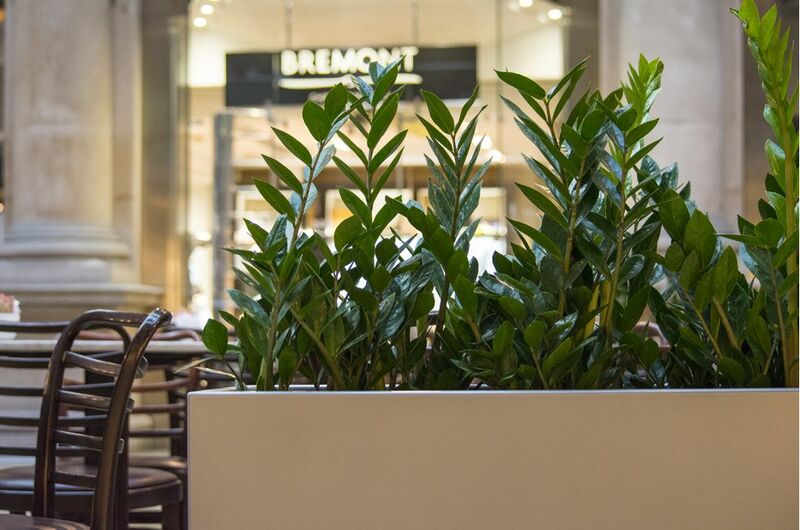 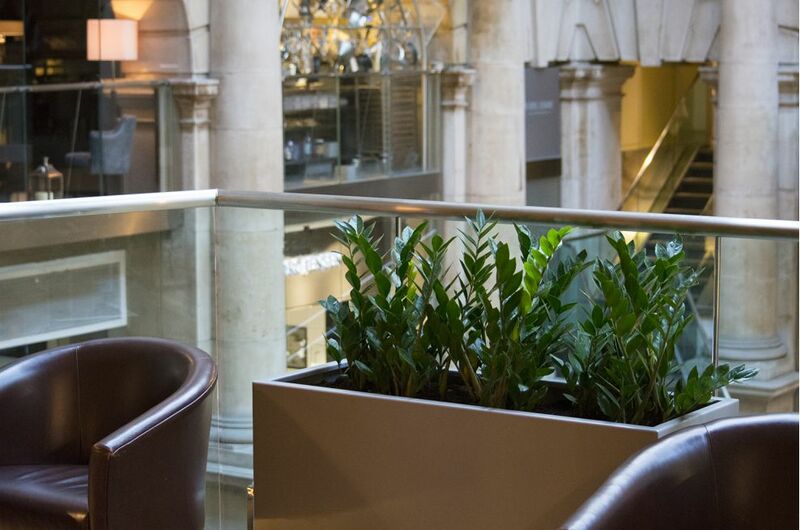 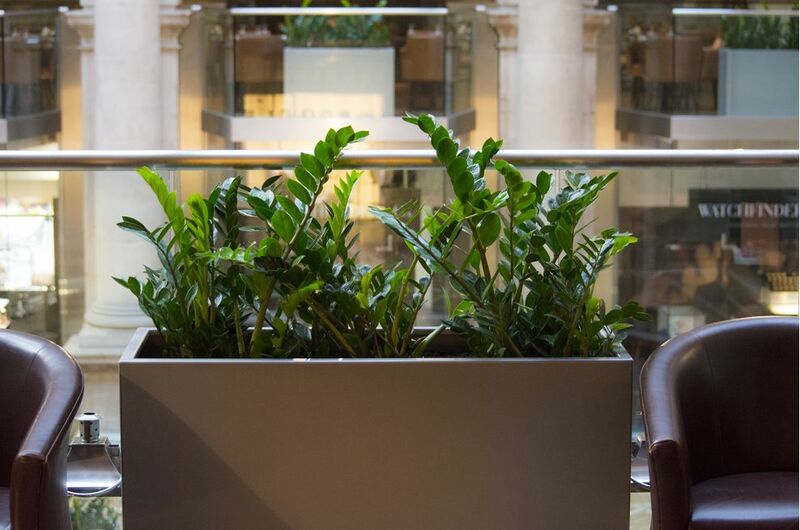 The large garden pots serve to create green and intimate spaces in seating alcoves around the Threadneedle Bar on the mezzanine floor; and, on the ground floor, the planters surround the Grand Café bar in the courtyard, separating it from the shops in the ambulatory. 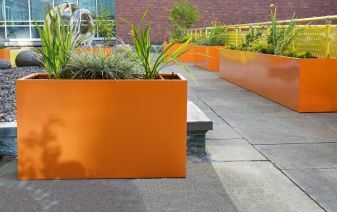 A total of 20 bespoke trough planters were supplied, of dims. 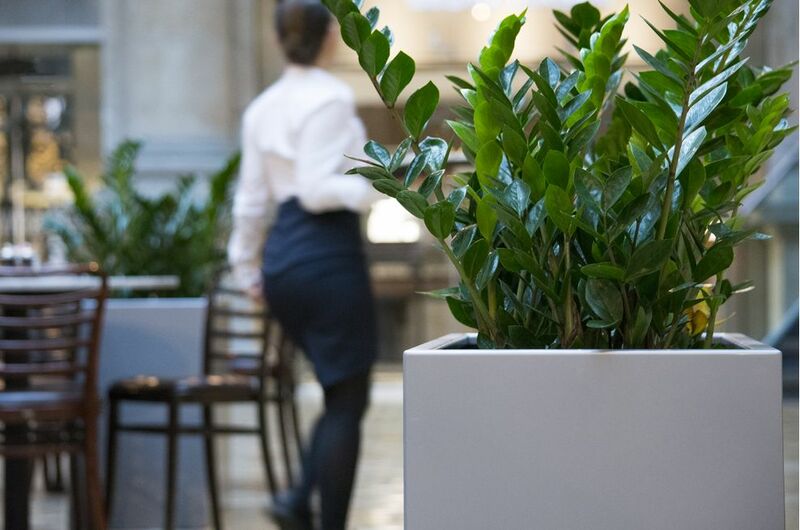 L 1100 x W 425 x H 700mm, and L 600 x W 425 x H 900mm. 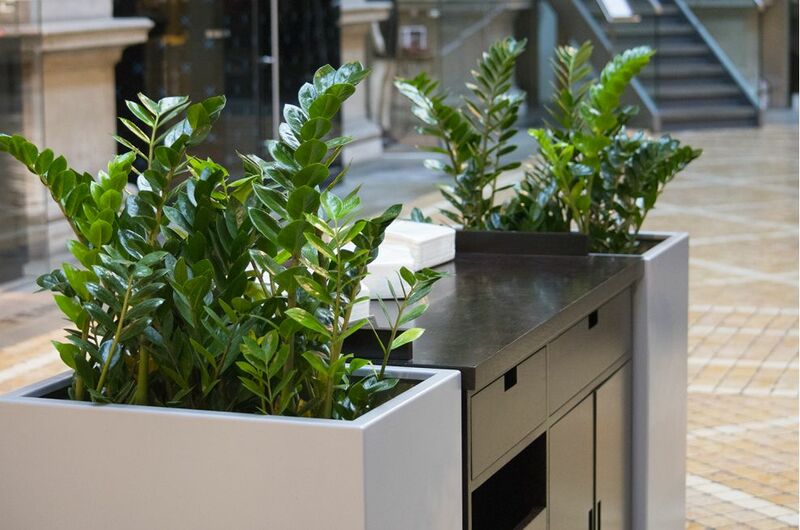 The planters were manufactured from 3mm thick Zintec steel, polyester powder coated to RAL 7048 [Pearl mouse grey]. 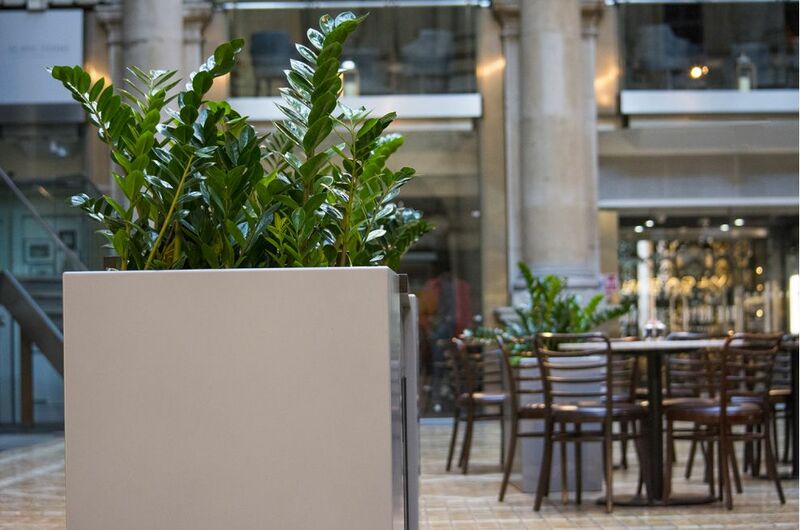 The planters were sealed watertight internally for indoor use. 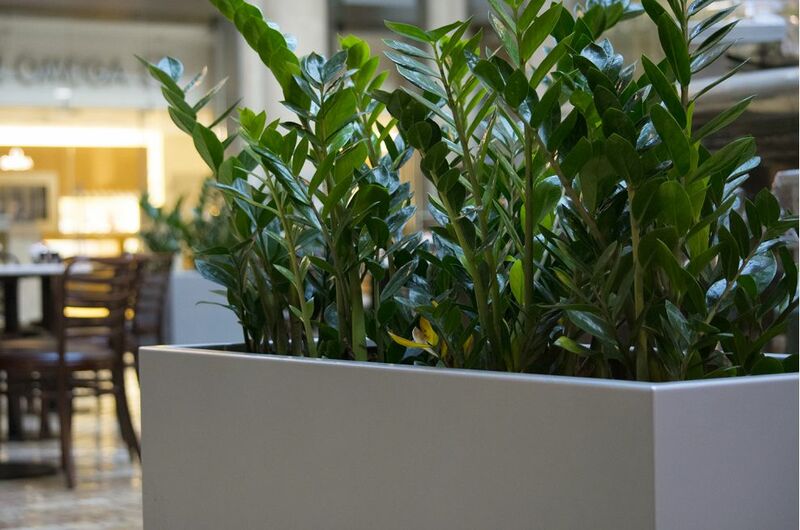 IOTA’s planters were specified by interior designers Russell Sage Studio, and the planting was conducted by McQueens. 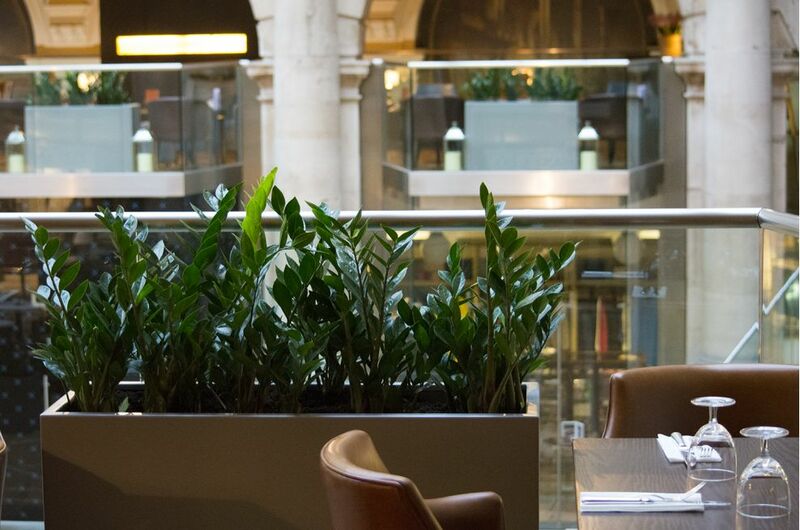 The client was D&D London – which owns and operates over 30 leading bars and restaurants in London, Leeds, Paris, New York and Tokyo, including those at The Royal Exchange. 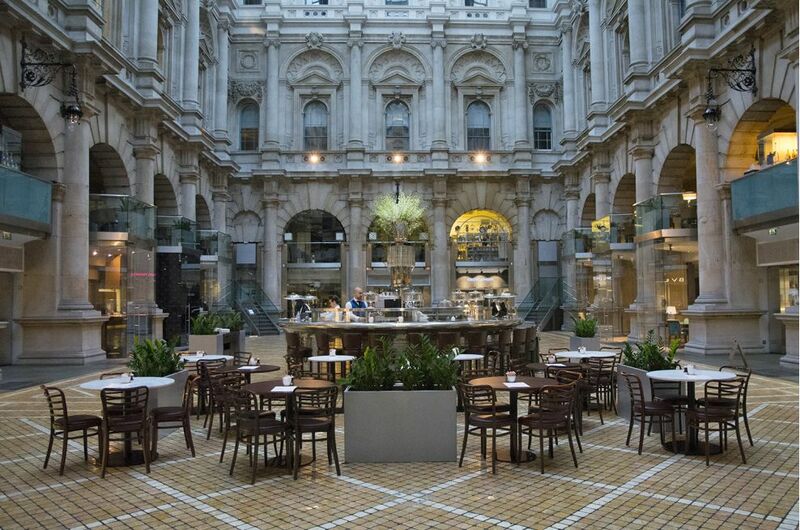 The Royal Exchange was officially opened on 23 January 1571 by Queen Elizabeth I as a centre of commerce for the City of London, and the site was notably occupied by the Lloyd's insurance market for nearly 150 years. 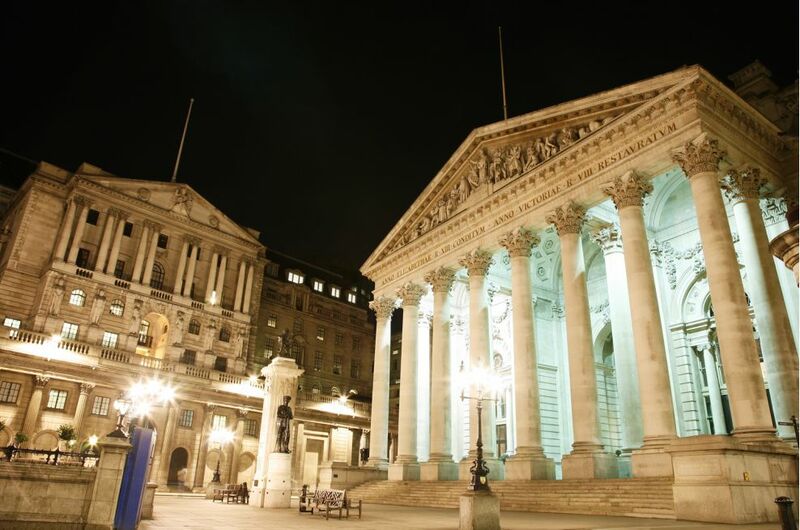 It has twice been destroyed by fire and subsequently rebuilt, and the present building was designed by William Tite in the 1840s. 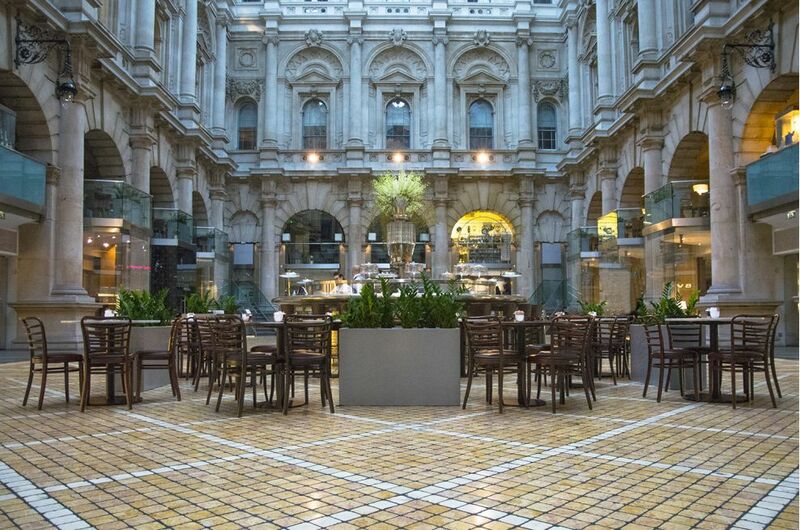 In 2001 the Royal Exchange was once again extensively remodeled; and it is now a retail centre with cafes, restaurants, and high-end retail brands including Boodles, Hermès, Georg Jensen and Tiffany & Co.